Kratos finally returns in the latest God of War and this time he is a father figure accompanied by his son Atreus throughout the game. Is it still the same God of War that we all love? Short answer, yes. Despite taking the series in a new direction, this new and improved God of War offers one of the series best yet told stories. Packed with large scale action, accompanied by an emotional journey we promise you that this will be a title that you won’t forget anytime soon. Whether your a long-time fan or a newcomer to the series, God of War (PS4) offers easy accessibility to everyone with its well written story, and amazing world building lore. A major flaw that many open-world titles fail to do is offer a feeling that the world is ‘alive”. 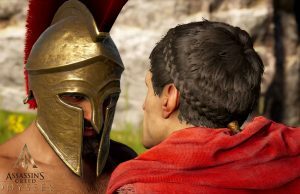 While God of War isn’t riddled with NPC’s like you would find in an Assassin Creed title or other city filled titles it compensates by having very well detailed stories told to you as you venture throughout your journey. As you see fallen statues, wrecked-ships, or pile of dead bodies littered on the battlefield, both Kratos and his son Atreus will exchange dialogue asking what has happened here. This, much like you as a player, shows that the protagonists have much to learn about the mysterious new world that they venture in. It is not till later in the game that the worlds story starts to unravel, in addition to the main plot. We would love to go in depth with the story, however we feel that for one to truly appreciate what it has to offer you need to play it yourself. We will say that for those who felt that previous God of War titles didn’t do a good job at developing Kratos personality, you will surely be in for a surprise as this offers a side of the blood lusting god killing machine that we have not seen from him in a long time. One of the things I absolutely love compared to other God of War games is the amount of activities that you can do besides the main story. During the game, Atreus even mentions a few times about drifting away from the main quests to do some exploring. 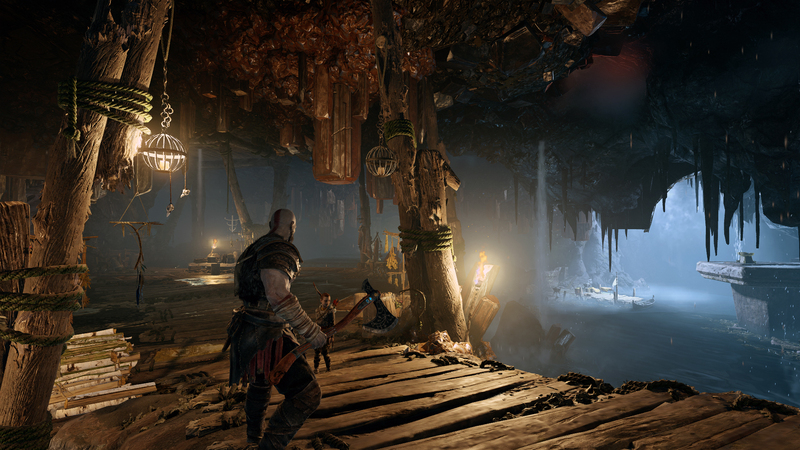 Though Kratos seems rather reluctant to want to do such tasks, it’s well worth it as it offers additional rewards such as crafting materials for better armor, upgrades for health and additional lore to help establish the Norse mythology in the God of War universe. 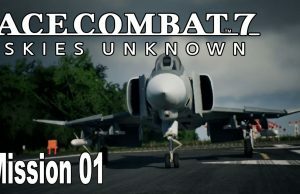 There are even some surprises, which we won’t spoil, but they’re well worth exploring for especially since they can offer rather challenging moments. Combat is as enjoyable as it’s ever been. While the Quick Time Events have been significantly toned down, they are still in the game when lowering an enemy health to a degree, and in certain boss fights. However, for the most part you’ll be fending off trolls and other Norse mythical beasts with the Leviathan Axe. While the game features a never cutting, third-person camera (like The Last of Us), don’t be quick to dismiss the gameplay as if it offered the same gameplay as other. In fact it is very much similar to that of past God of War games. Combat is fast, and has plenty of depth to it when it comes to performing different combos. While it’s true that you can by by playing with the same move-set, the game offers far more creative approaches. For example, you can throw the Leviathan Axe at enemies and still continue to follow up with attacks with Kratos bare fist, before delivering a final blow from the call back of the Axe much like Thor infamouse Hammer would do. And that’s just what you get at the start of the game, as you progress you unlock new moves that offer even more satisfying attacks. If there is one flaw about the combat that we noticed is that when we at times had tried to perform a weapon switch it would sometimes be unresponsive and not perform that switch like usual. Whether its a bug or perhaps user error, we do hope it does get addressed in the future though it’s not a large flaw as it happened only a few times during a couple of boss fights.In addition to offense, you also get a shield for defense to block incoming attacks and to even parry them if times right, which always left us with a smile on our face as it opened up to some rather explosive combos. A mechanic from the previous game also comes back as when you fight against trolls and lower their health you’ll be able to mount on them and use them t cause of devastating damage to other nearby enemies, much like the Ogres in past titles. Compared to the rest of the series, this one brings upgrades to practically everything. From armor, weapons and special runes. By the time I had finally reached the end of the story I was sitting just at level 5 with a ton more upgrade options that I still have not earned. Certain upgrades require rare items but are totally worth all the trouble for that sweet upgrade. I don’t want to reveal more than I need to involving skills/upgrades but expect to be doing some grinding to max out everything. God of War offers perhaps one the best graphically looking experience out there. As a fan of the series, I was blown away by how vastly the visuals are different from previous titles. Naturally the PS4 has a huge power advantage over its predecessor the PS3 and more so the PS2 so it’s only natural that the game would look far better with more realistic textures and details here and there, but it’s what the game does with its colors that the previous games lack. Previous God of War titles typically stuck with very grim and cold coloring, which portrayed well for the type of game it was. Here though we get every possible color imaginable. In one scene you could be walking through harsh wintering environment. Shades of gray and blue, giving the environment a “dead” feel to it as if danger could be lurking around the corner. In another, you’d be walking through lush greens, with the changing of the season going into Autumn portrayed by all the different colored leaves offering a safe warm feeling. The coloring and the set pieces in the environment all blend so well that they work in conjunction with telling of the game’s story that it brings the environment to life. Then there’s the little things such as leaving tracks in the snow, the sweat dripping off Kratos’s face, and the armor on characters swaying as they move around, giving it definition that its a separate piece that has is own physics. God of War is truly one of the greatest feats that The PlayStation 4 has produced to date. 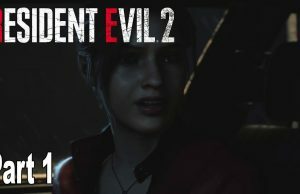 Playing the title on the Playstation 4 Pro does have its advantages with the two given options; Performance or Resolution. In our playthrough we opted for resolution as it provided a cripse, sharply detailed picture all while keeping the frame-rate locked in most scenes to a perfect 30 frames-per-second. Though the performance mode isn’t a bad option either, despite it being locked to 1080P it offers a higher unlocked frame-rate with dips here and there versus the steady 30FPS 4K Resolution mode. Whichever mode you prefer though won’t diminish the experience. It is always nice to have the option on the PlayStation 4 Pro to favor either resolution or framerate. With the resolution option ticked there are a few frame drops that I experienced. If you want a smooth experience, I would suggest going for the framerate option (Assuming you have the PlayStation 4 Pro). The score is outstanding and the fact that there were only 2 loading times (Besides dying in the game which I will not count) was quite the surprise. It provided quite the immersive experience. For a game looking this great, I expected a decent amount of loading screens. Massive accomplishment by the team at SIE Santa Monica Studios for managing to pull off this impressive feat. For a series that has since remained the same throughout nearly 6 titles, this was soft reboot certainly was a huge risk, one that paid off. God of War is hands down a fantastic game and I highly recommend picking it up especially if you are a fan of the series. 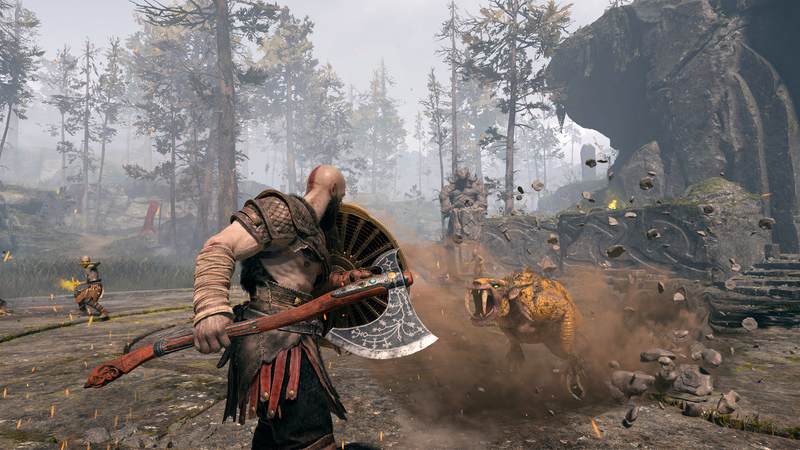 This copy of God of War was played on the PlayStation 4 Pro with the option to prefer resolution. Certain quests will be made public on April 19th while the rest will go live on April 20th. You can bookmark the playlist here.